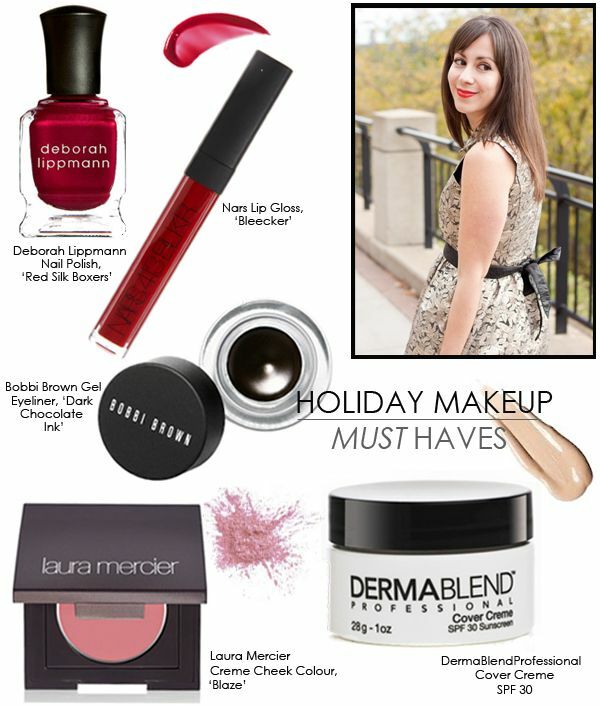 It's no secret that I rarely stray from my daily makeup routine (save for the odd, seasonal lipstick switch-up), but the holidays are the one time of year I actually get excited about makeup. Aside from the products I use on the regular, I could generally take it or leave it where makeup is concerned (what, I really like skincare!). But the way Sephora dangles gift sets in my face and M.A.C. inundates me with flashy, limited edition everything, it's no wonder I can't say no. So aside from some shimmery shadows I'll probably never wear past the new year or yet another illuminator that I really don't need, my holiday must-haves this year are all about creating flawless-looking skin (complete with uber rosy cheeks!) and bright eyes, with festive (and in my case, standard) pops of red thrown in for good measure... Because less is more, right? These are great! Would love to try that NARS lip gloss! Let the Tata revolution take over! I can't believe I haven't tried that NARS red yet. I love these picks, so trying that foundation and liner! Love that Deborah Lippmann colour.